Generous soil volume and water reservoir results in larger, healthier plants for strong retail sales. 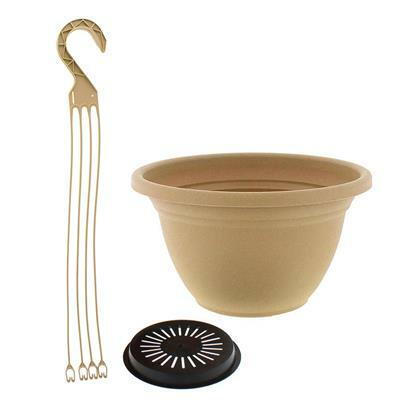 Saucerless Design gives the finished look of a saucered hanging pot without the added expense. Plastic and Wire Hanger Capability. 3 Strand work with our 8" or 10" hanging baskets or pots. 4 Strand work with our 12" hanging baskets or pots. 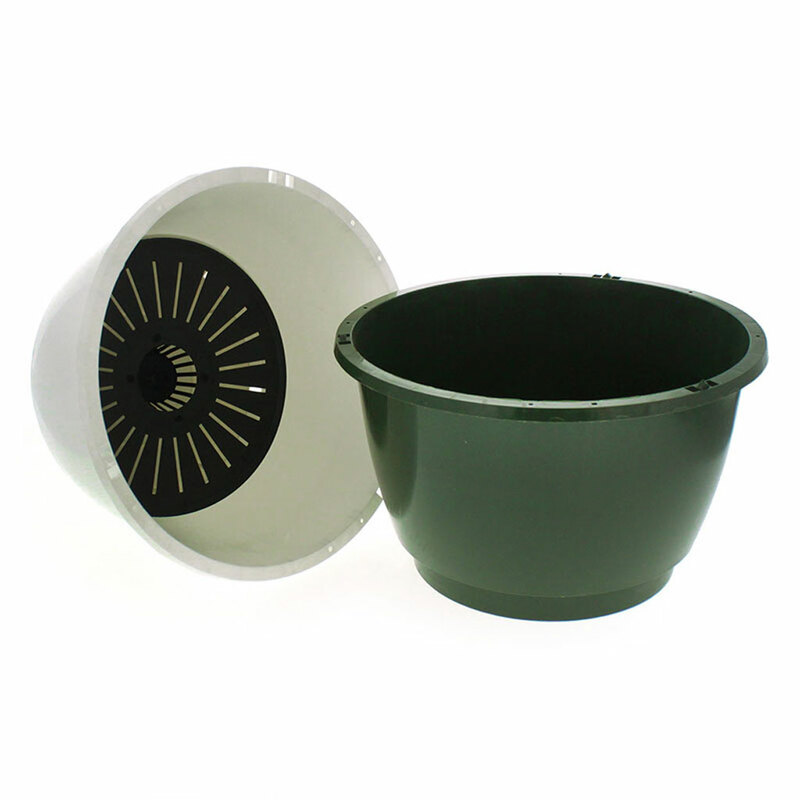 These seem to be nice pots, sturdier that some others I have tried. FYI, if you buy saucers for these pots an 8" saucer is too small for the 10" pots. These did not taper as much as some hanging baskets. Oh well I have 25 - 8" saucers to use under other pots! There were several pots in each case that were broken. I guess in transit. Maybe package better, Good to get what we ordered. 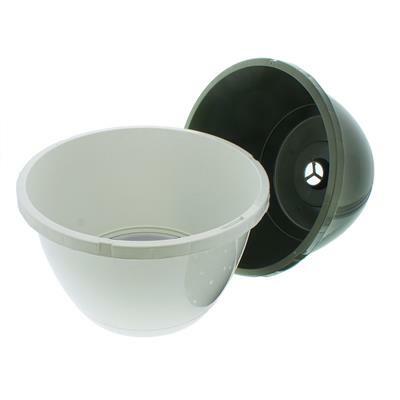 Baskets are not the heavy duty plastic expected and hangers are not as strong as expected. These baskets are wonderful. I've tried many different styles of baskets such as wire with coco liners, wire with sphagnum moss, etc. and I like these the best. 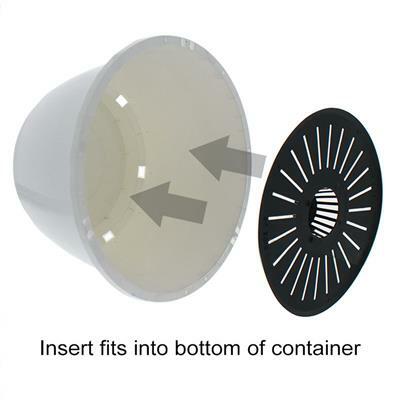 I especially like the insert on the bottom to keep the excess water away from the roots. I will buy more when I need them. good size. they are just what I needed. 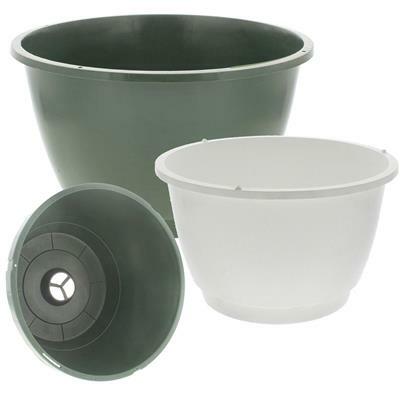 They work great.Size is just a little small for what I needed.They are good pots. Awesome product and services. A pleasure to do business with again and again. The baskets are nice but useless without the hangers...I am still waiting to receive those. The baskets arrived timely. 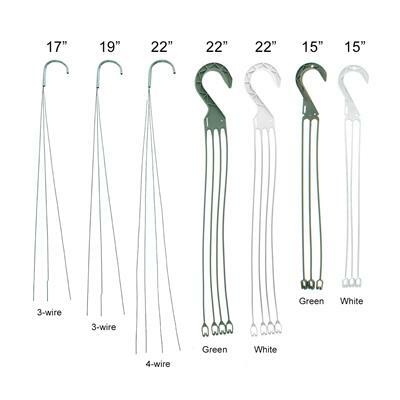 I also ordered the wire basket hangers. Everything went together well and now have lovely hanging baskets maturing in my greenhouse for spring sales. I got a ten-pack of your baskets along with the hangers. The baskets have good concept with the water reserve in the bottom, but otherwise are a disappointment. First, the baskets are very flimsy. The rim distorts greatly by the hanger brackets, and look as if they are ready to break. To make matters worse. 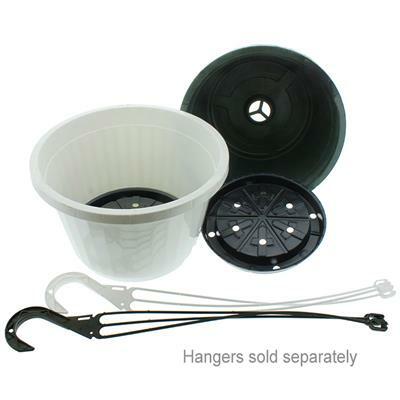 the hangers can only attach to the rim on one side, compounding the stress on the basket. They are simply cheap. 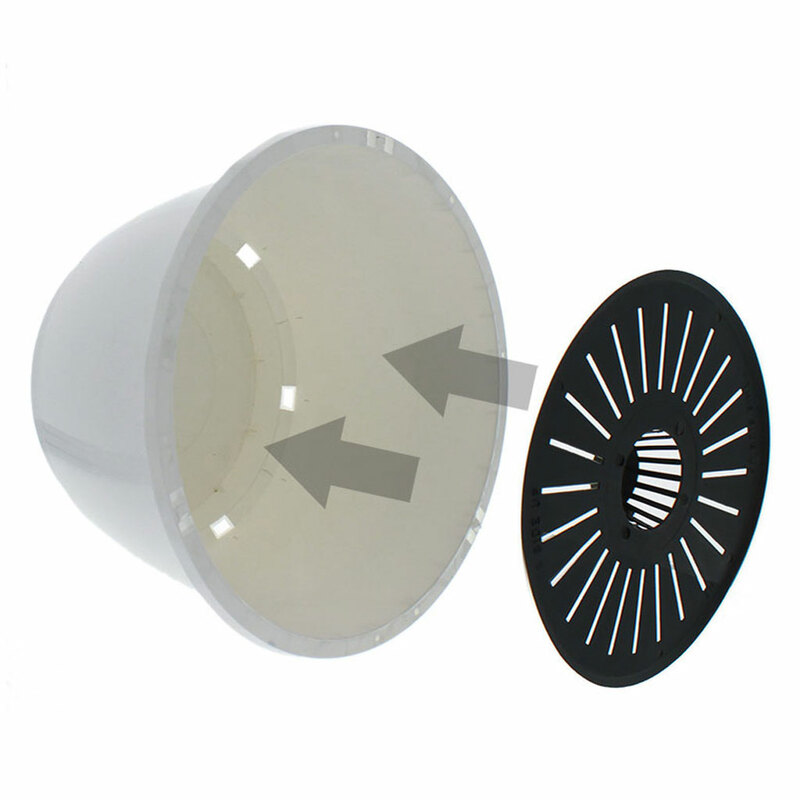 The pots look nicer than many & the separate drain inserts offer versatility for usage. I like the size of the pots, but had an issue with the hanger. Was told that either hanger would work and they were correct, both would fit, but the plastic hanger wasn't designed for this pot. If your not careful of the placement of the hanger on the rim, it will bend and pull off. I was looking for a nice basket at a competitive price. 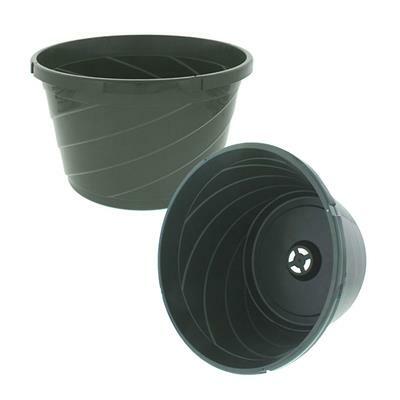 This basket is sturdy and came with insert disks to hold back the soil from coming thru the bottom. I am very pleased and will order again in the future. These baskets are well made, attractive and well priced. The final result looks professional and is sturdy. I could never find this large size in the stores...love the fact that these won't have to be re-planted again this summer. THESE ARE VERY NICE HANGING BASKETS FOR THE PRICE. These are really nice hanging baskets,just the right size and color I wanted. These hanging baskets have worked very well for us. The easy assembly and durability of this product shows us that this company is all about satisfying the customer rather than just selling the product. I received this product thinking that I would be getting what I paid for. The price was cheap so the product would be cheap, But I was surprised when I found this product to be a nursery style pot with drainage and not at all cheap. The Greenhouse Megastore just keeps on surprising me with its quality of product at a price that is unbeatable! That's the truth, I've searched the entire web and couldn't find anything that compared to this. Thanks again! I am very happy with my purchase. Such a great competitive price. I am a small store and will definitely make more purchases from the greenhouse mega super store. These hanging baskets are of excellent quality, priced right, and the company is great to deal with. Customer service was very helpful and happy to take care of a wrong part in my shipment. Super fast shipping too.